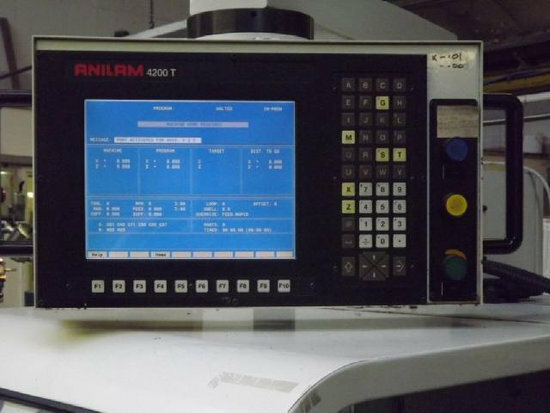 Anilam 4200T M-Codes list for cnc machinists programmers who work on CNC Turning machines with Anilam 4200T CNC controls. M (Miscellaneous) Codes Performs miscellaneous (M) functions such as spindle forward/reverse/off and coolant ON/OFF. M19 Orient Spindle and Enable C-Axis Mode. M900 C Synchronize C to X and Z.
M901 C Un-Synchronize C from X and Z.